Shazam! takes an old school approach and is a thoroughly enjoyable adventure. With the exception of Wonder Woman, Aquaman and the phenomenal Dark Night Trilogy DC has rendered a string of glum and unsatisfactory superhero movies that led even the loyal fans of the DC Extended Universe to turn their back on the movies. Nonetheless, following the lead of the few successful movies of the production Sazam glimmers a major hope over DCEU's declining brand name. In actuality, the superhero character previously known as Captain Marvel earned the name Shazam after DC's legal battle over the superhero with Marvel went down in shambles. 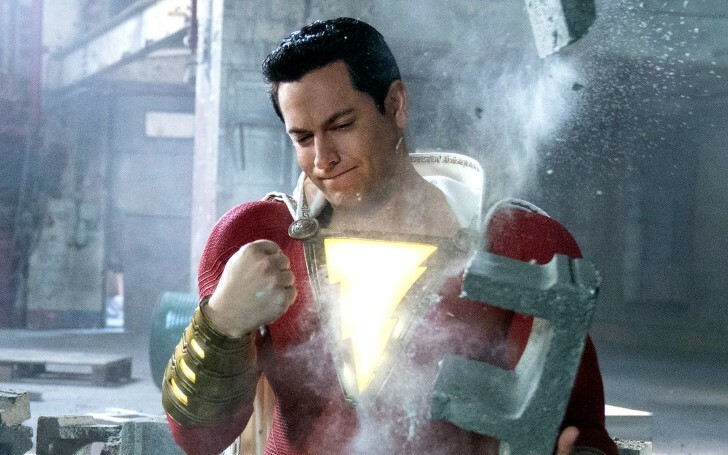 To add up, Shazam has been a failed project for DC universe over the years with many repeated attempts for its production. Oscar-winning screenwriter William Goldman took part in the movie through a draft in the early 2000s but it comes as a surprise that the movie took so long to make its way to the fans. However, the movie now brings the superhero to life with astounding tones and visuals. Focused around a much younger audience than any other venture of the production till date Shazam! actually makes a surprising start with a less superhero-like cold and tragic scene providing the audience a taste of Sandberg’s adult-leaning genre history. The start-off sends the audience off on a journey back to the 70s to see the origin of Doctor Sivana, first seen as a situationally turned bitter child who grows up to face the titular hero. The movie, however, outshines from Batman v Superman, Justice League and Suicide Squad with a new take as the background information provides a clear direction to the movie securing a comfortable grasp of what the film is and who it’s for, base level skills that were nowhere to be found in those uncanny DC flicks. Sandberg proves to be an outstanding directorial choice to outdo far more experienced directors by doing the bare minimum. As the storyline steers to the present, we meet unpredictable rolling stone teen Billy Batson depicted by Asher Angel who is time after time hops through a variety of foster homes, in an attempt to locate his mother whom he separated with as a child. After finding a home in an eager makeshift family, he does his best to avoid any sort of attachment but finds a dire need of confidante once a wizard brings about the blessing awarding him with superheroic powers. 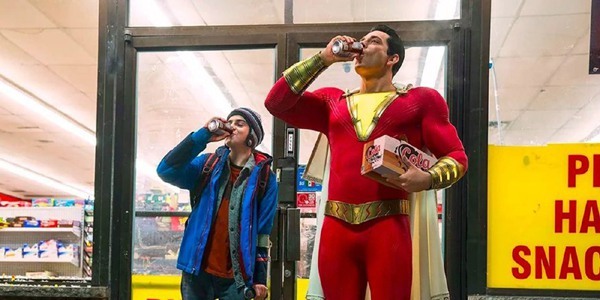 The word “Shazam” causes the protagonist to magically reappear as a cape-wearing and the power of flight holding adult superhero (Zachary Levi), adding up a huge array of problems into his already pretty complicated life. A low aiming yet astounding, Shazam! gives a lighthearted and modest take on the superhero. The movie marks first its kind DC movie as it is a kid-friendly caper powered flick with enough vigor to keep its target audience engaged with a fun central plot that provides an extraordinary cross between Big and Superman. Levi who generally only has experience with the small screen from Chuck to the latest season of The Marvelous Mrs. Maisel, gives the vibe of puppyish charm to his role, launching himself into the role with total abandon. The leading villainous antagonist, Mark Strong has a comparatively less vivacity of a modern day villain and is stuck with a classic bad-boy villain persona. The two-hour-plus running time provides an unsatisfying turn when viewers realize that the dynamics between the Superhero and villain doesn't take a progressive turn but rather settles for a so-so. Through Sazam DCEU eliminated all the pitfalls and now is seen to be taking an interesting stand on its superhero movie but a kids movie, being dragged to a flabby 132 minutes is seen as a desperate attempt. The ending while being admirably self-contained and content, gives off a boring escalation of emotional cliches. The previously established emotional intents drown out as the wrapping up goes on for the far too long. The movie would have been a phenomenon given a finer polish in the plot and tighter edit of the movie. However, the movie comes following a variety of critically bashed predecessors and is definitely an addition to the movie ensemble of DC.